Many of you know I am a beauty gadget enthusiast, going by the various interesting and innovative tools I’ve reviewed here. Today, I am going to unveil another one and it is so bizarre, it’s gonna make me sound like, and absolutely look like, a loony. But loony or not, I have Real Madrid mega football star, Cristano Ronaldo, for company and that my friend, just catapulted me to become a world-class loony! LOL. 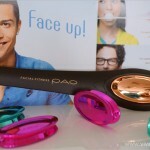 Okay, before I get completely tossed away, let me preface by saying this weird beauty gadget, dubbed Facial Fitness PAO or PAO for short, is no fancy beauty toy. The name is quite sane even if the idea does not come across initially. But I assure you the concept and the design is completely sound, especially if you’re familiar with facial yoga. Here is one product that you are literally to stuff in your mouth, hold with your lips, and bob your head to swing it up and down rhythmically for two 30-second sessions a day. Its sole purpose is to train our facial muscles and the reason it is designed to be stuffed in the mouth is because a study conducted by Tokyo University has concluded that the muscles around our mouth area is the most susceptible to aging. According to the experts, the face is home to at least 43 individual muscles that are responsible for a range of emotions. But no thanks to aging, facial muscles tend to weaken over time leading to wrinkles and a droopy expression. So using this will strengthen the facial muscles and tighten up the skin from within. Here’s a promotional video to give you a better idea of how PAO works. As you can see from the video, PAO is not something randomly designed. In fact, there are three technologies that support Facial Fitness PAO. By just nodding your head up and down, you can swing the weighted ends of the bar extending from the mouthpiece. This resonance movement, generated by the up and down motion of the head produces the a force (load) that exercises facial muscles. The part that you hold between your lips extends 30mm from the center of the bar. Maintaining this slight distance from the exerciser serves to intensify the force applied to the facial muscles. The “Mouth Hold” refers to the part of the mouthpiece that you clamp between your lips. It is designed to effectively stimulate the muscles with the force delivered to the orbicularis oris muscle. I’ve been using this bar-shaped tool daily since August and here is my experience with this mouth gaping, lip grabbing, one-of-a-kind wacky beauty gadget wonder complete with some before and after pictures. If you watched the video, you may think that PAO is so easy to use. So did I. I mean, what’s so difficult about bobbing your head up and down to swing both ends of the bar? Well, instead of holding with my lips, I started all wrong by biting the mouthpiece. Also, I was bouncing my body too much when I first began. Finally, I needed some practise to get the left and right equilibrium movement precise too. But once I got the hang of it all, using PAO was a breeze! In fact, it got quite fun and there is a tendency to want to stretch all the bobbing longer. But just like how you don’t want to over exercise your body, it’s equally important not to over exercise your facial muscles. So I ensured that I kept to the 30-second time limit each time by means of a watch. At the end of the session, I could feel a little ache in my cheek areas. But after over two months of usage, I’m still not sure if it had any effects on my face. In order to know, I documented by means of pictures. I’ve tried to be as accurate in terms of angle etc and this is the best I can do. The first set of picture was taken right before I started (with the ugly crop of hair) and now. The second set of picture was taken in July and now (as my hair was longer in July). There are supposedly three major benefits of using the Pao â€“ firming up smile lines, firming the facial contour and turning up the corners of the mouth. Well, based on what I’m seeing, it looks like there is a wee bit of a lifting effect around my cheek areas such that I look more awake? The difference is very subtle and some of you might even think I’ve put on weight (which I did not). Well, I’ll leave you to decide and to drop me your comments but one thing I would say is apart from skin care products, I did not make any changes to my lifestyle. In fact, I cut down on my daily facial massage during this period. However, I do wish the difference was more pronounced. I was quite hopeful but at the same time not really expecting too much because I don’t really have saggy skin to begin with since I’ve been pretty diligent when it comes to massaging my face all these years. 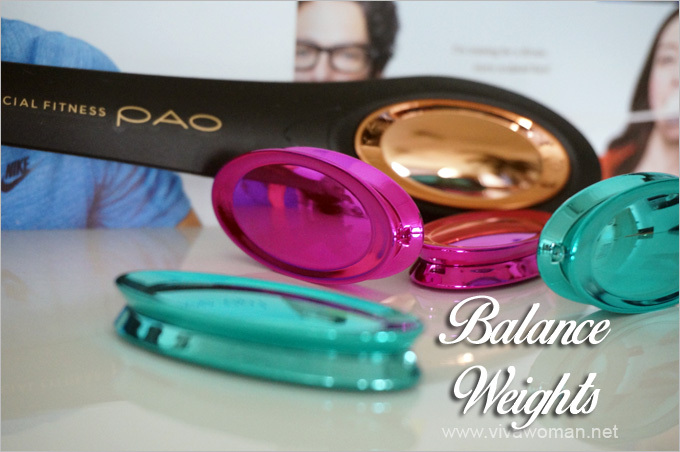 PAO comes with three types of balance weights that are interchangeableâ€“18g, 23g and 28g. By changing these weights, you can modify your PAO facial fitness exercise to a level that best suits your requirements. The whole idea is like how you would train your body muscles using body weights. I started out using the pink one (23g) for a couple of days before moving on to the gold one (28g) which I’m currently using. It felt a little heavy initially but now it feels almost weightless. I still get a little aching feeling around my mouth area after using PAO but it wears out almost immediately. Oh, the thing I don’t really like about using PAO is that I have to wash the mouthpiece every time after use. It can be detach for washing but usually, I just rinse the mouthpiece with the two bars intact before wiping dry with a tissue paper then encasing the mouthpiece with the carry case. PAO also comes with an easy to carry pouch if you need to bring it out. But I totally forgot all about it the last time I brought it out on a work trip. Speaking of which, I did find this a little big to bring around since it’s not something handy or foldable. 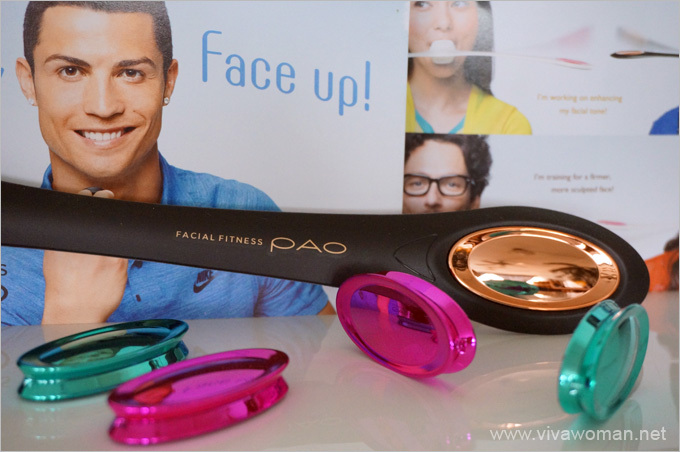 Oh by the way, Facial Fitness PAO is created and sold by MTG, the Japanese company that created ReFa Active that I reviewed recently. Itâ€™s Â retailing at S$200 and you have a choice of white or black. The good news for those of you sold on the idea of purchasing PAO is that MTG is offering 10% off purchases from its e-store for Viva Woman readers. In fact, the 10% applies to all products. Just quote VivaMtg during checkout. For more information, check out the MTG e-store. Offer valid till end Oct 2014. If you ask me, while S$200 is not affordable, it is not expensive if you are able to use it for a long term basis. Think of it like an exercise gear but only for the face. Plus, it’s definitely cheaper and safer than botox! Yet based on how it did for me, I can’t say I highly recommend it either because I am not even sure if I would fork out that kind of money to purchase this myself. But one thing for certain is I do like this facial fitness gadget as it is fun to use and does not require too much work. Also, I do believe it helps to train my facial muscles to prevent my face from sagging. So if you like the idea of training your facial muscles without resorting to facial yoga, check the product out at MTG. For now, I really like to hear your opinion on this tool especially based on the pictures I’ve posted. What do you think? Do you agree with me that it didn’t do so much for my face or do you see something I don’t see? 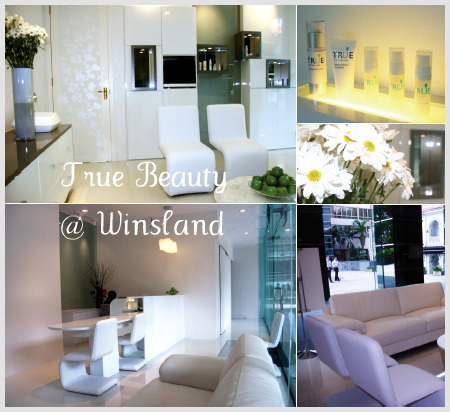 Experience the Oskia Glow Facial at Bud Cosmetics A truly beautiful experience at True Beauty 1000 Roses For Best Double Cleansing Experience Will facial mists set or disperse my makeup? 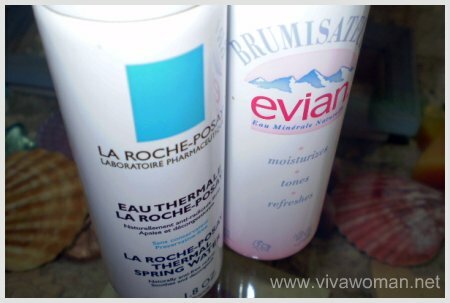 Previous Post: « Antipodes 3 Perfect Potions: Are They Perfect Or Not? 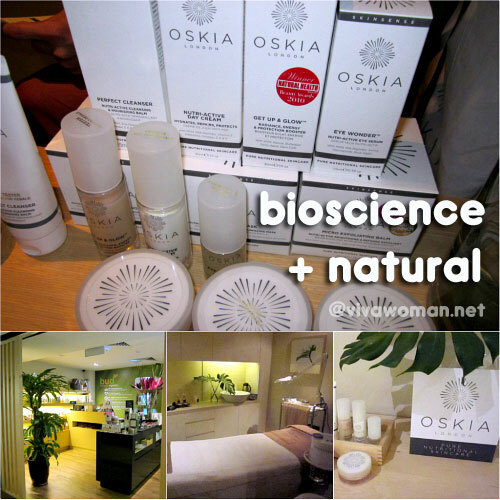 Check out my post here: http://www.vivawoman.net/2009/12/hisako-tanaka-face-contouring-massage/. I do a modified version that is simpler but is adapted from the Yukuko technique. Hi, thanks for sharing interesting gadgets, I actually bought the ReFa Pro after reading your blog years ago. I have since upgraded to ReFa Carat when it was launched, though I still prefer Pro. I like the feeling of ‘rolling’ my face. The tools featured here, POA looks interesting too, but like you’ve mentioned, the results are not that ‘obvious’ , I would like to share with you the following. I have been using a small mouth piece called ‘Parakara Lip Trainer’ for some years with good result in both slimming ( esp my double/triple chins) and toning my face ( made my wide nostrils more defined & smoothen the creases above my cheeks). The first was introduced to me for my girl’s sleeping disorder (it is actually a medical device from Japan), but the warning on ‘face slimming’ caught my attention so I got one (adult size) for myself. Now, my hubby uses it for his snoring problem; like me, my girl( now a teen) uses it for beauty and my 7 y/o boy uses it because he doesn’t want to be left out. It used to come in different colours, so, we have different sizes and colours lined above the kitchen sink. However, this tool requires more commitment than POA, to see fast result, need to do 3 or 4 sessions of 3 mins daily. To maintain, I am doing it once/twice daily now. It used to cost less than S$100,( my last purchase was 2 years ago). My initial result was so obvious that after a long weekend, my colleague bought one for herself when she saw me ( she took photos of me before the weekend which was also before I started using it). As for ReFa Pro, I can see why you like it. It can roll a bigger surface area. I quite like it too but I’ve sort of abandon it for now. Sorry, I spelt the name wrongly, it’s should be ”PaTakara’ lip trainer. Yes, I didn’t have to wait long to get result noticeable by people around me. As for ReFa Pro, don’t abandon it, try use it on kids below 10, rolling their back regularly will help in stimulating the ‘acupuncture’ points and boost their immunity (modified from TCM hand kneading). My son and 3 y/o niece love that and always asking for more. Thanks again and do keep up your good works. Cheers! Hi there! I’m interested in getting this product but I have a bit of pain in my neck from bone degeneration. Do you think that it would still be suitable for me? Thanks! Does your neck feel painful with movements? The nodding movement isn’t too vigorous so I think it might work unless your neck hurts even with small movements. When I read this, I’m quite interested but I want to know if this really work, does it eliminate the double chin? Can’t guarantee but it should help with longer term usage. Need some persistence. Not sure if you can get it online. I just purchased the Pao 3 weeks ago, what I do so I don’t have to wash it every time is use a facial tissue folded in 2 to cover the mouth piece. So far I’m enjoying this. Oh that’s a clever idea! Thanks for sharing. I’ll give that a try next time. I was wondering if you have continued using the Pao. It would be great to see new pics after all this time. Do you still use it? 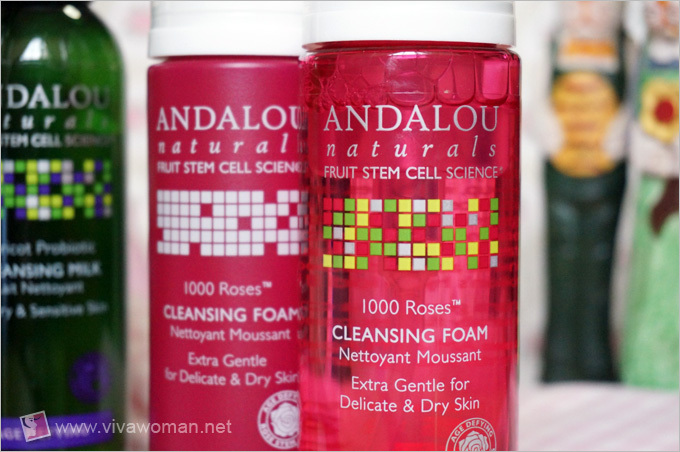 Are there any products that you LOVE? 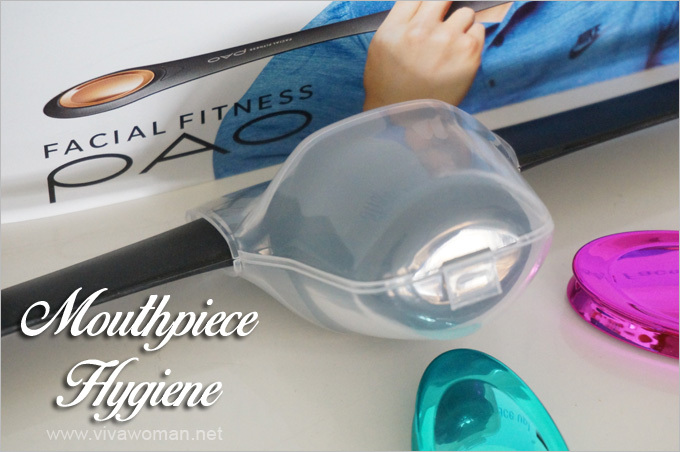 Products, either exercise gadgets or simple skincare, that you absolutely swear by? Thanks. Who else has had good results wit pao pao n how is refa pro really works ? Hmm…I don’t think I saw any lifting. Bit I felt most tightening effects around my mouth and cheeks. Hello Sesame, is there a way to effectively remove the double chin?? Using a tool like that can help. Chewing gums is supposed to help but it would take longer. Good grief, I cannot believe anyone could possibly take this seriously. What to they say about a fool and her money? The (very pretty to begin with) lady looks no different, and needs no adjusting. I despair! I see a huge difference. Your after photo made me buy this weird little thing. Best to keep to the recommended schedule.